I have done some sort of "morning work" with Emma since she was two but had a hard time staying consistent. There were so many skills I wanted to work on and it felt very overwhelming! It also felt like I was trying to do too many things and there were always supplies everywhere! I finally decided on a concise binder of activities that I can swap in and out and are (to me) the most important skills for her right now. 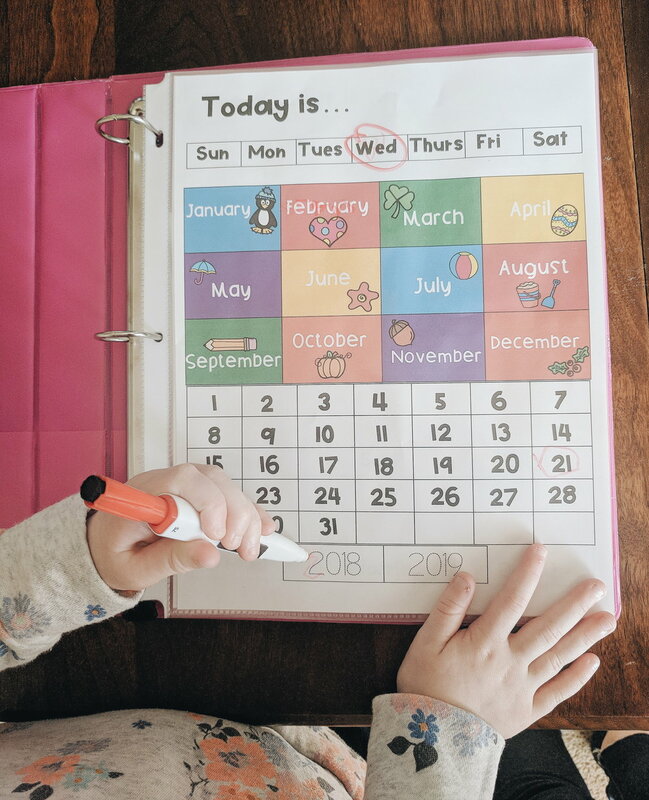 The activity pack includes the days of the week, months, date and year on the first page. The next page has weather and feeling choices! 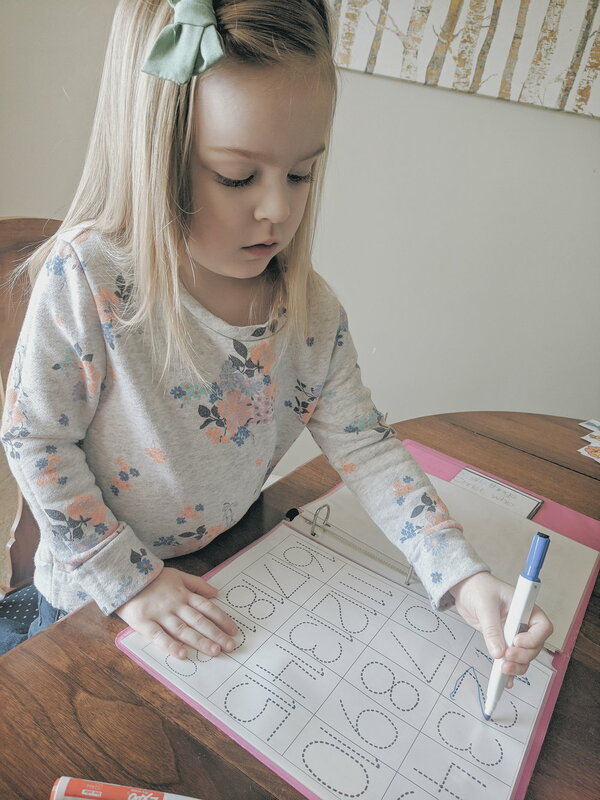 The last two pages include are tracing activities for numbers one through twenty and upper and lowercase letters. Each page can be slipped into a page protector and easily drawn on with a dry-erase marker. Each card has and upper and lowercase letter with a beginning sound picture. For Emma, I am keeping the cards together so we can identify the letter, the sound and the picture. When she's ready, I will cut them all up and have her match the upper and lowercase letters and then letters to the beginning sound picture. There are four bible verses to memorize and trace! I laminated these but they can also be slipped into a page protector. We will be doing one a week for a month and then start over. I am sure I will be adding more as time goes on but for now I want to focus on these! We will be working on two of the letter cards and one bible verse each week! Everyday, we will go through the calendar, weather and feelings. We will focus on five numbers to identify and trace at a time and then only trace the letters that we are working on for that week. Each activity pack has A LOT in them and would be too much to do each day. We are keeping this fun and light and I really want to focus on a few skills at a time. I am happy to answer any questions about our morning work binder! As Emma gets older I will be adding more activities and will update it as we go.